"Off the map, things get strange." 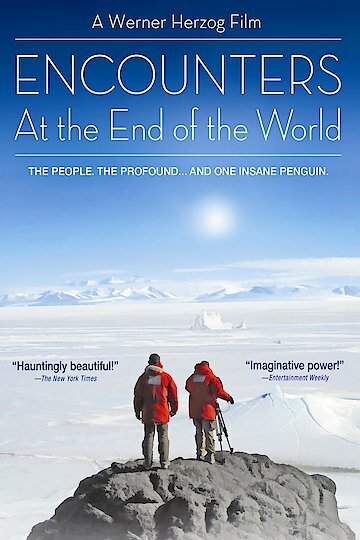 This is a film that documents events that take place in Antarctica. A team explores the area to find out about the people who live there as well as the climate of the location. Interviews are held with many of the workers to find out how they sustain in the cold environment. Encounters at the End of the World is currently available to watch and stream, download, buy on demand at Netflix, Amazon, Vudu, Google Play, FandangoNow, iTunes, YouTube VOD online.